Students belong to Indian nationals can only apply for the scholarship. A student who wants to apply must belong to the financially weaker section of the society. Selection mode: All shortlisted applicants will get the scholarship amount of INR 9000 per annum. 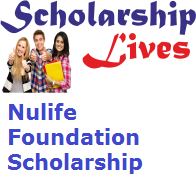 All eligible applicants can apply for the scholarship through both online or offline mode. There is no online capability for satisfying and submitting the application form. All the applicants are recommended to submit the application form before due dates as the late application will not be conventional under any circumstances.